Some destinations are special — every traveler knows this. Whether it’s the architecture, the history or the overall beauty, there are some sites that deserve screen time just to show off. Movie directors are aware that their carefully-chosen sets help tell a story, which is why they scour the globe for the perfect setting for their films. The result is, of course, travelers flocking to these destinations to recapture the magic of their favorite scenes. We’ve put together a list of some jaw-dropping destinations you’re sure to recognize from popular movies. Woody Allen seems to make characters out of the cities he chooses for his movies. This is the case in Manhattan, Vicky Cristina Barcelona and To Rome with Love. But no film is more successful at displaying its setting than Midnight in Paris. Throughout the movie, the camera flirts with every corner of the City of Lights. 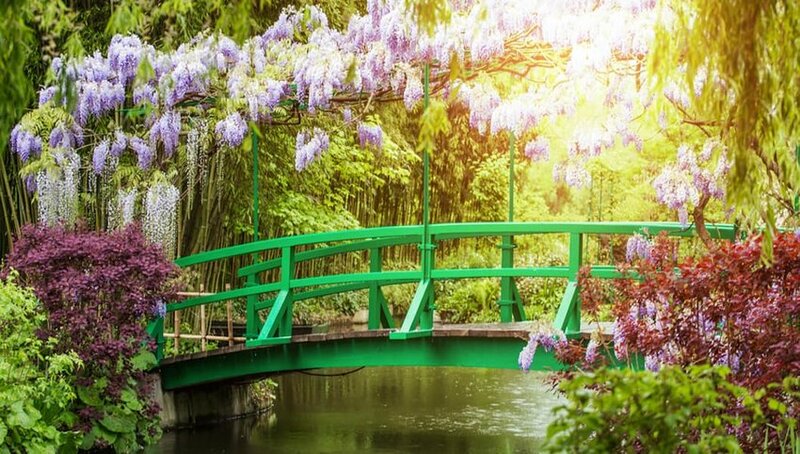 Of course, there are many sites which will make your jaw drop, but the opening scene in Giverny definitely stands out. This small village just outside of Paris is the former home of the Impressionist painter Claude Monet. Visitors can still visit his restored house and immaculate garden which inspired so many of his works. Monet’s love for waterlilies and Japanese landscaping will have you taking pictures every few steps. Try to visit on a sunny day to take in all of the colors. No list about movie destinations would be complete without at least one reference to New York City. Gapstow Bridge in Central Park is featured in films ranging from The Devil Wears Prada to the second Home Alone. Perhaps what makes this bridge so enthralling is its position within Central Park. If you stand in the middle, you will get one of the best views of the New York City skyline. 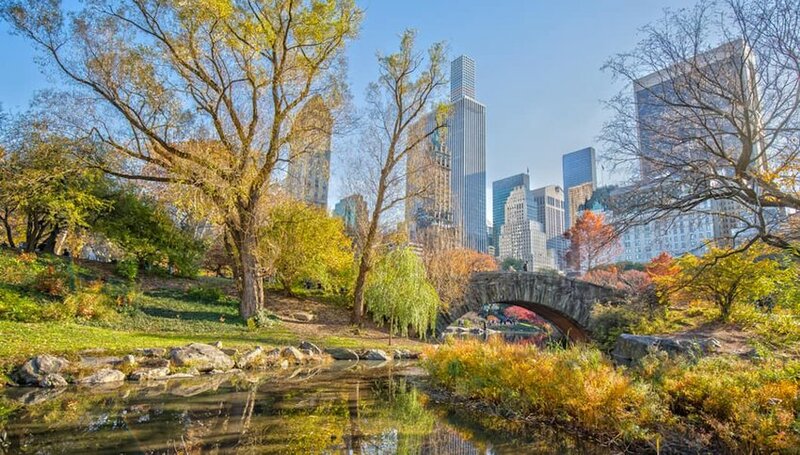 Plus, the Big Apple has four very defined seasons, so you can catch the bridge covered in fall foliage or winter snow. No matter when you visit, this bridge has a unique charm that, for a second, you’ll forget that you’re in the middle of a concrete jungle. 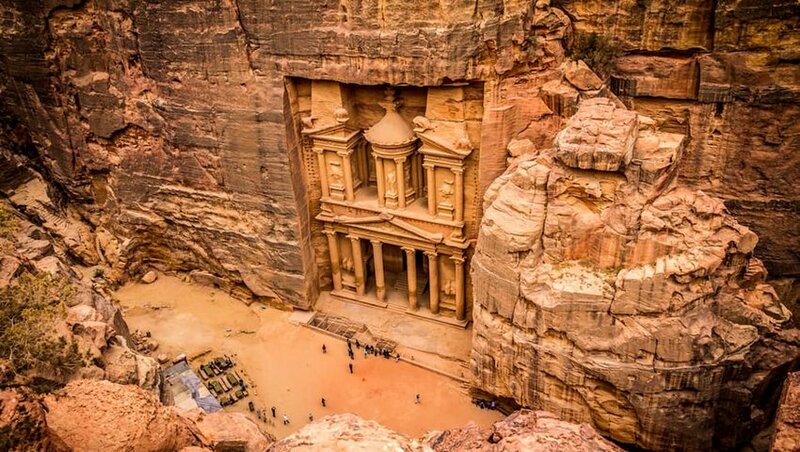 Although Petra has been a UNESCO World Heritage Site since 1985, it wasn’t until the release of Indiana Jones and the Last Crusade that this archaeological complex became recognized around the world. The movie hit theaters in 1989 and since then, Petra’s columns, temples and carvings have impressed an ever-growing number of travelers. Called the “Rose City” because of its pink sandstone, Petra is half-built and half-carved into rocks. It is approximately 2,000 years old and a prime example of Hellenistic architecture. One of the buildings, The Treasury, is an especially famous structure. It was carved into the sandstone by the ancient Nabataean civilization in the second century CE. The lost city of the Incas will certainly make your jaw drop as you take in the incredible ruins set high up in the Peruvian mountains. Machu Picchu has been featured in Walter Salles’ Motorcycle Diaries, one of the movies narrating the life of Che Guevara, the iconic communist. 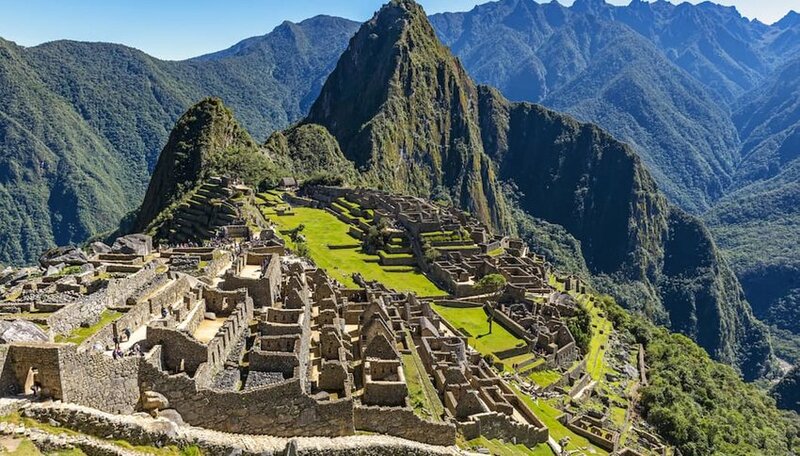 While the movie shows Che and his sidekick arriving to a deserted Machu Picchu at sunrise, visitors today have to actually book their tickets a few months in advance. It’s completely worth it though, for the walk through these ruins never disappoints. 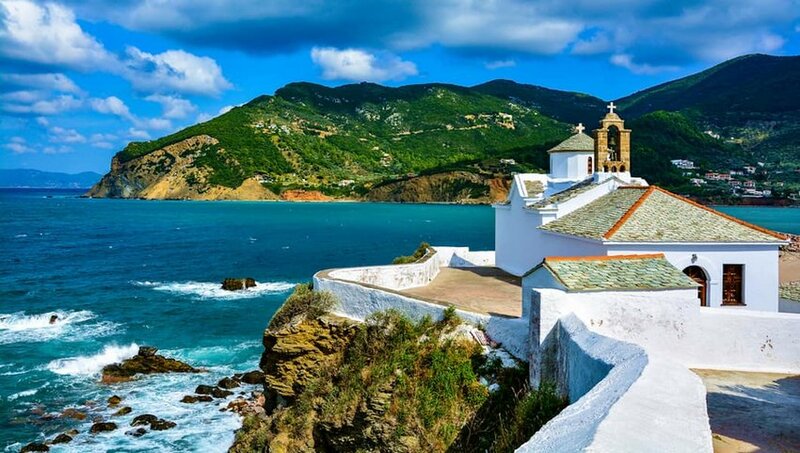 Friday night and the lights are low…if you can complete the next verse, you’ll probably want to visit the Greek island of Skopelos. Making ABBA songs shine, Mamma Mia! is not only a fun-filled spectacle, but an invitation to a beautiful island that will make you want to immediately pack your bags. Not only is the beach idyllic, but the backdrop of quiet villages will make you feel like you should be singing some happy tunes yourself. There is an abundance of greenery, white sand and crystal clear water to make you want to live your life just like Meryl Streep. Rashmi Chugani is a multimedia journalist. News is her second love, after coffee.